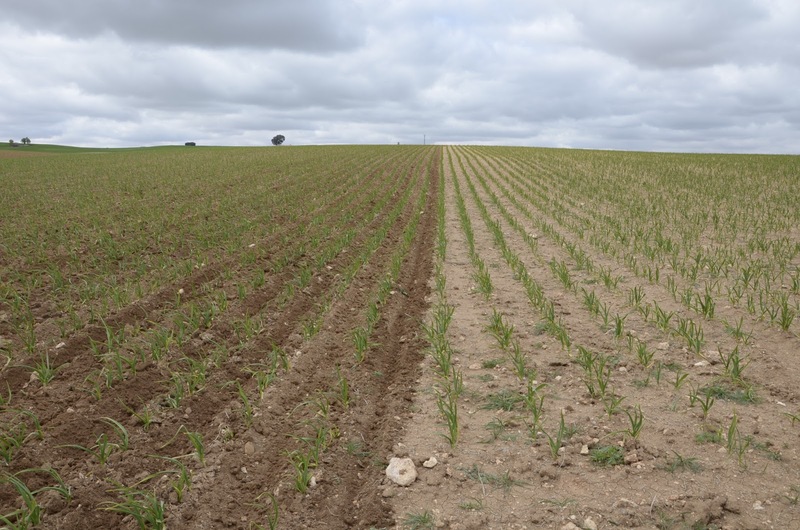 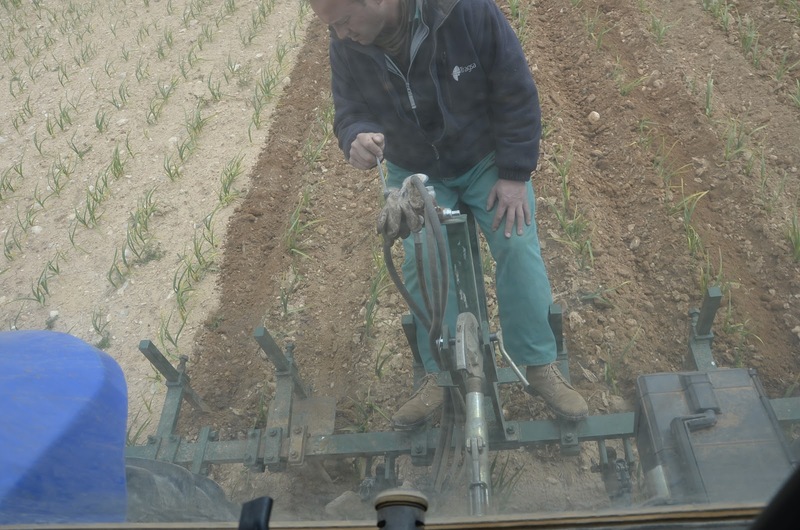 Last weekend we visited Barriga brothers (we are good friends) while they were harrowing garlic near or our farm. 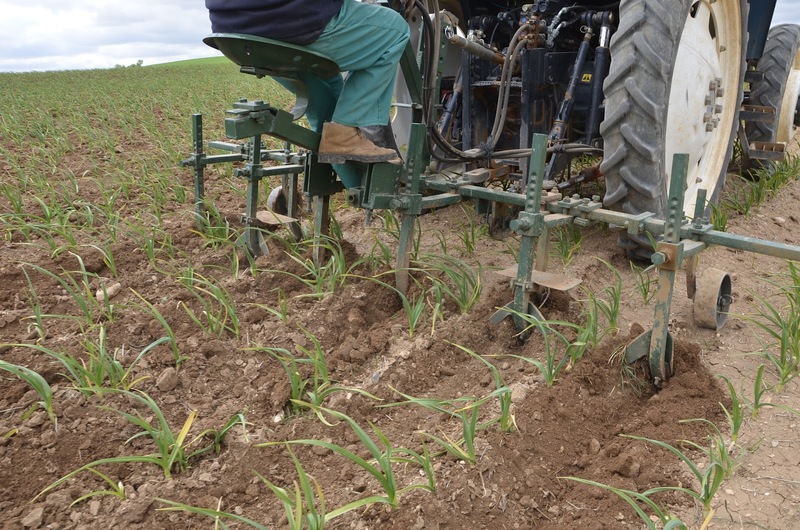 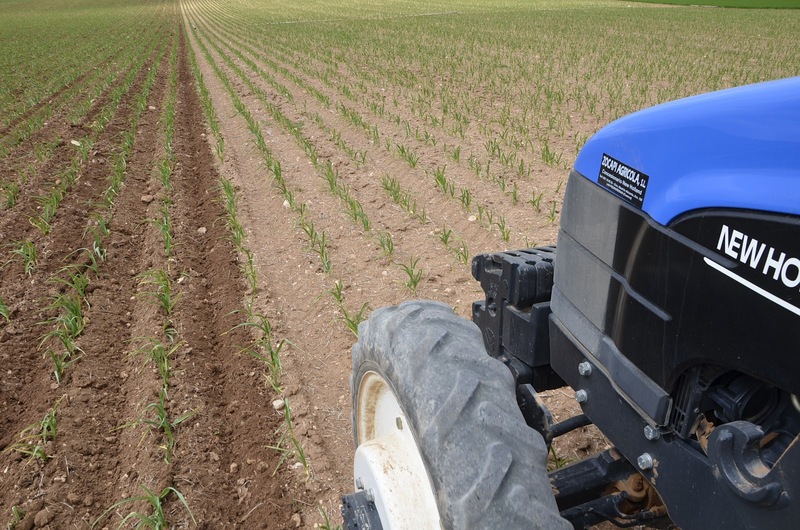 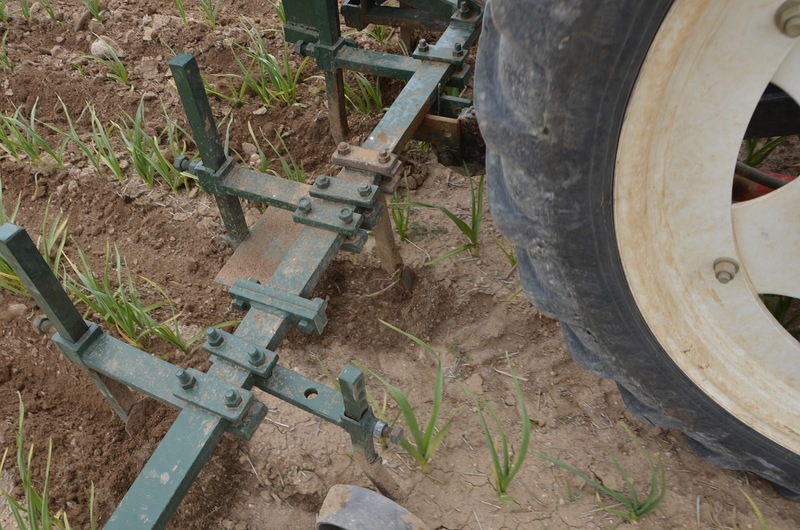 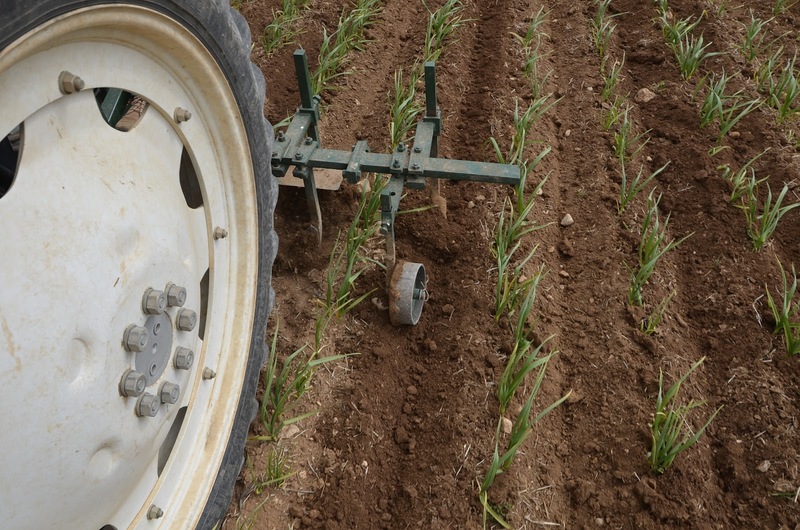 As you can see in our pictures, they use a small tool to harrowing garlic because the working depth is very small. 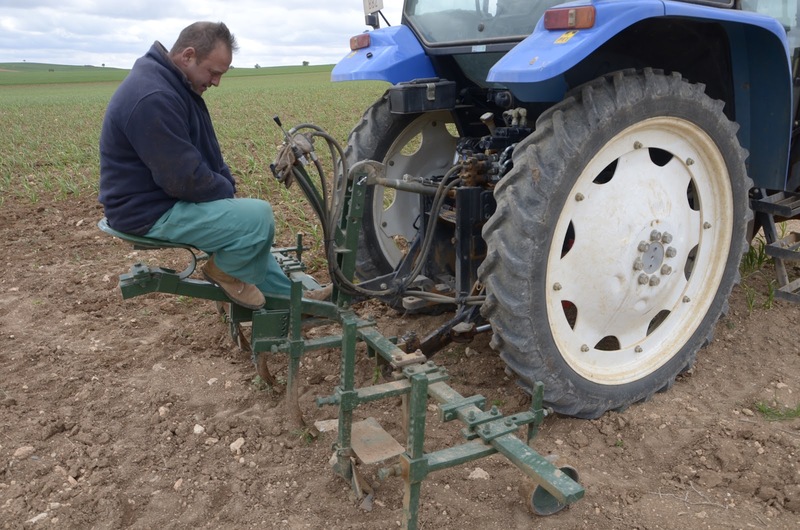 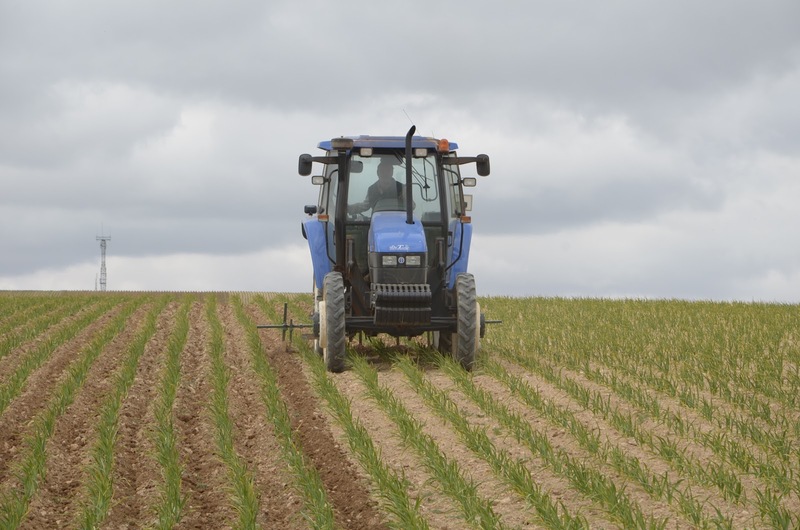 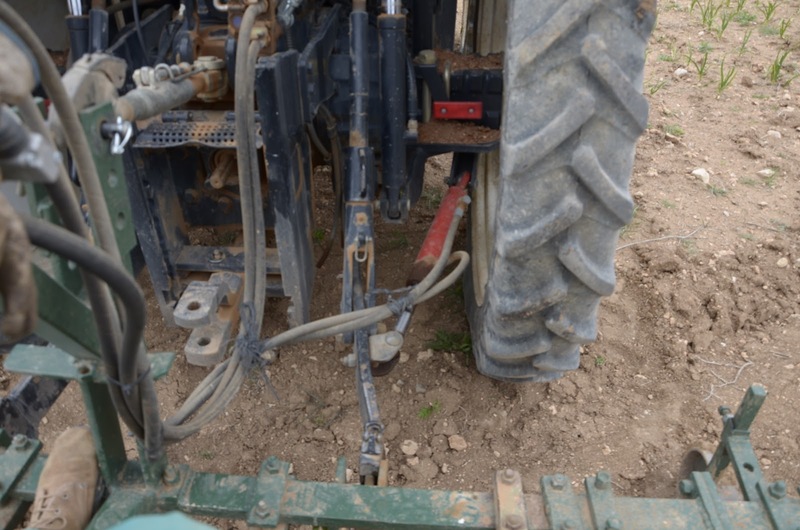 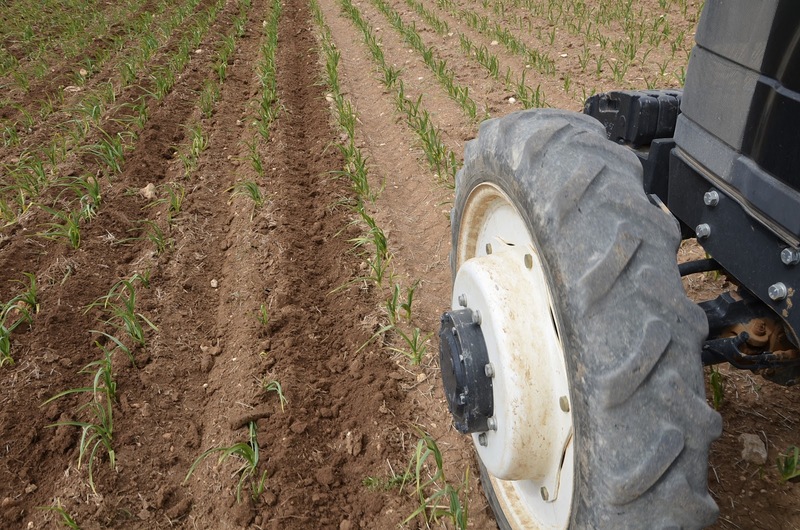 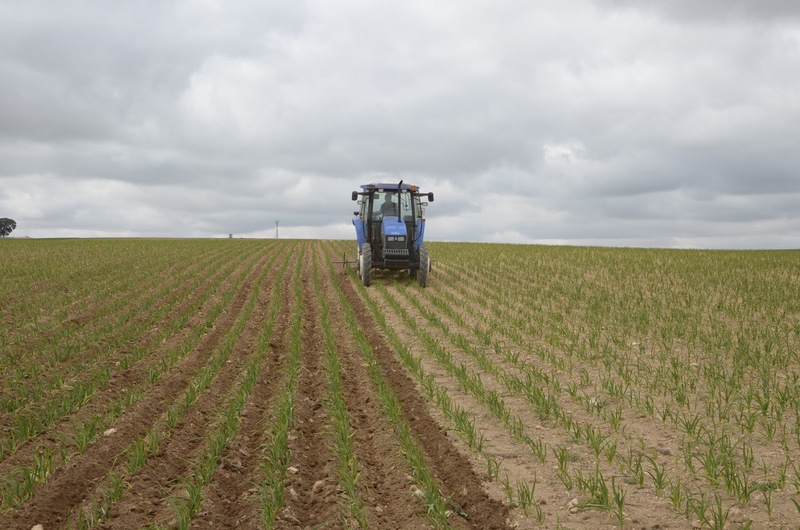 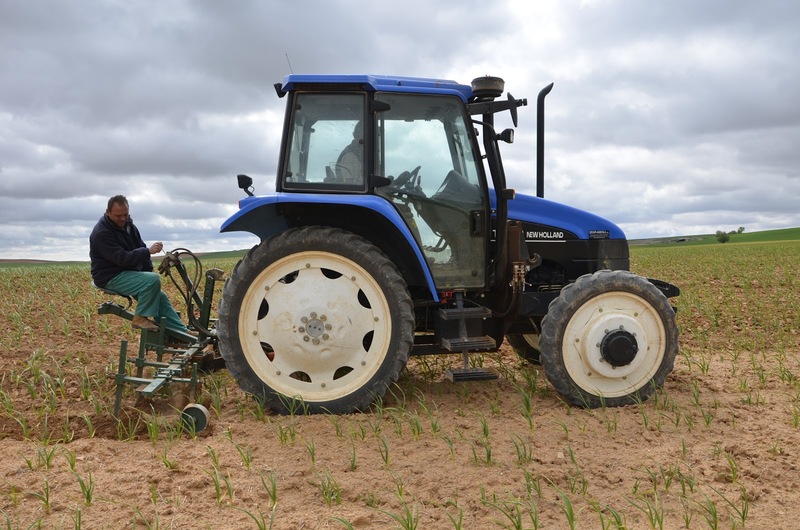 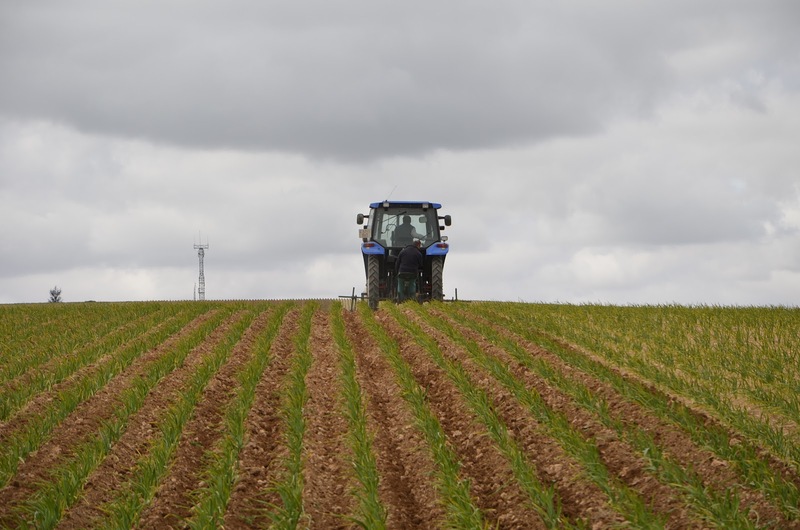 They have a special system which allows co-driver to manage the tool when it has a small desviation and the tractor cannot move itself because its wheels work between two rows. 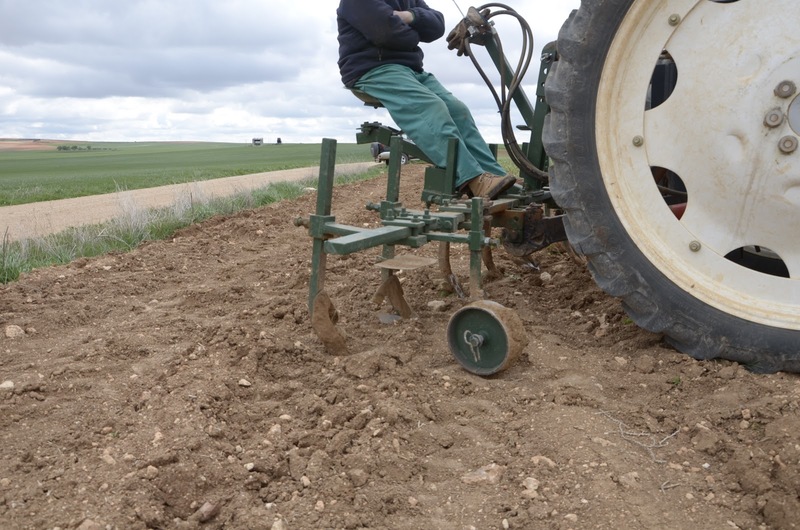 This work needs a high accuracy whether they don’t want to get garlics damaged or buried so the working speed was about 4,5 km/h. 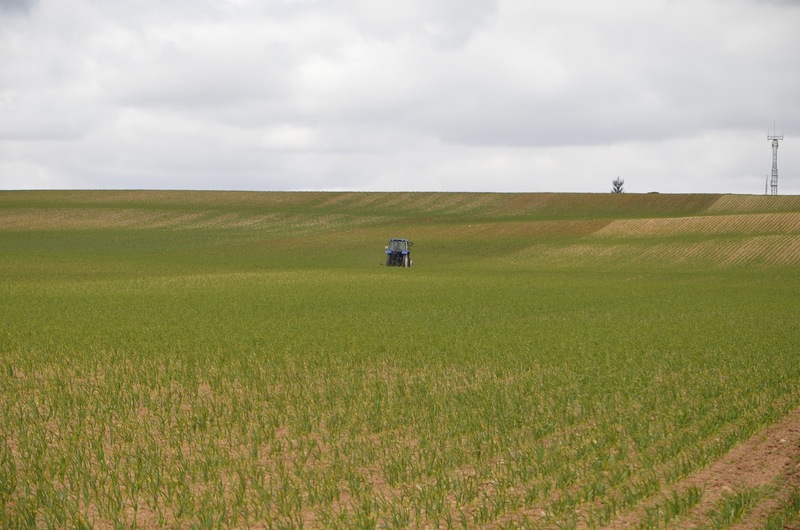 After harrowing, the field gets other dark color more beautiful. 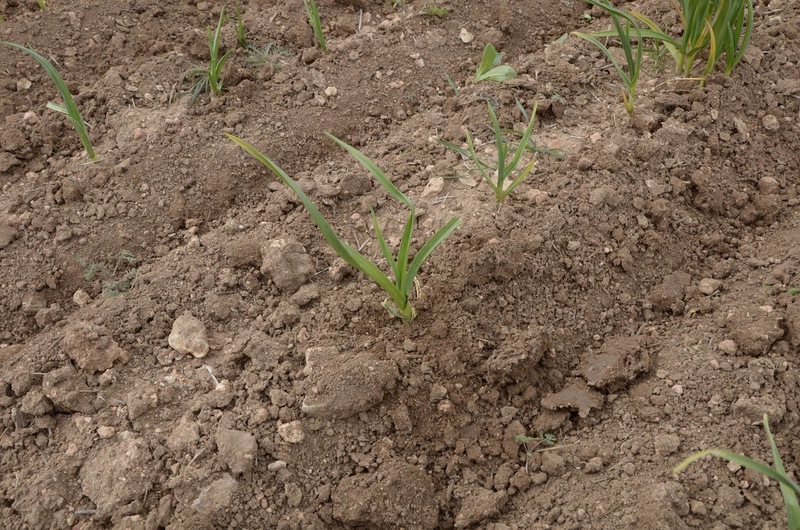 Now, they have to water them with the aim of continuing with their growth. 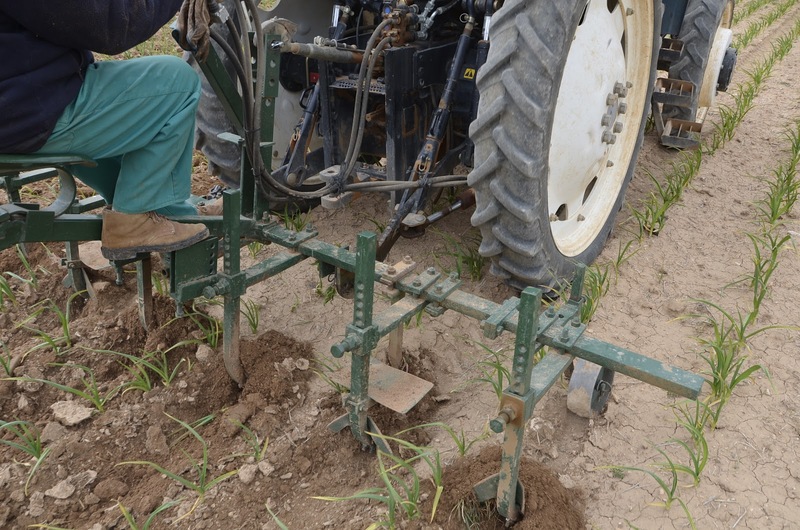 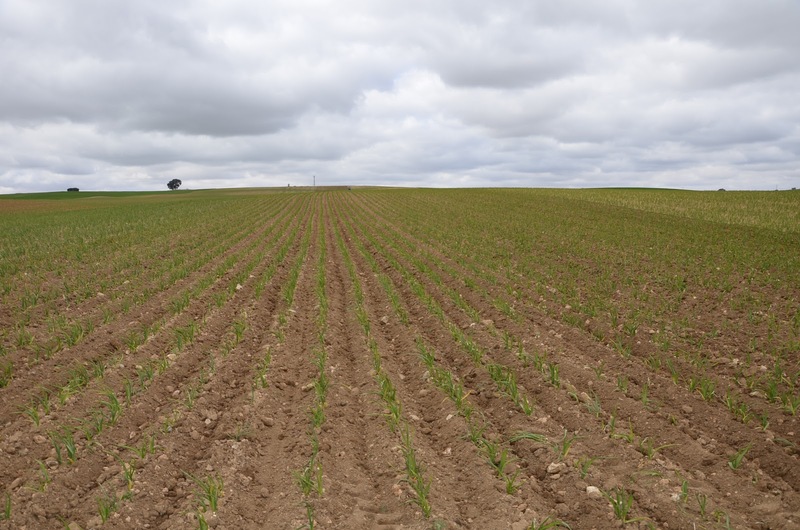 The tool used has five rows which has exactly the same number of rows as the sower machine has. 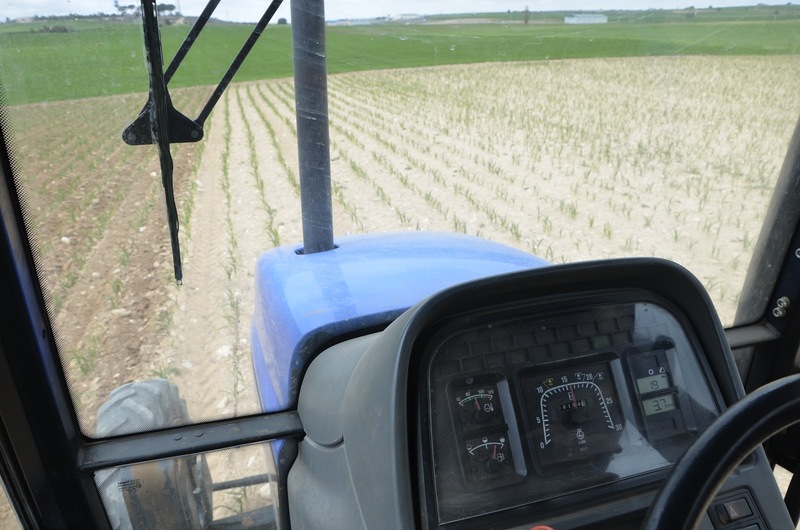 With this objective they are sure than they don't have any problem with the distance between rows in different laps. 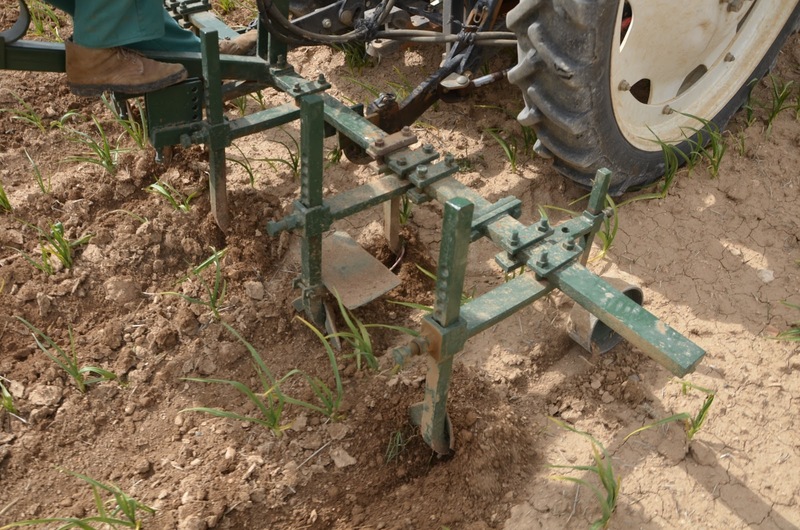 You can see a video from our YouTube channel.